bsheats is in a really, really rough spot. See her response to Rage . She needs our thoughts and prayers. I am sending knee mail in her name and in the name of Lvyles. Let's gather them both in our loving arms. Sending positive thoughts, energy and love to bsheats. 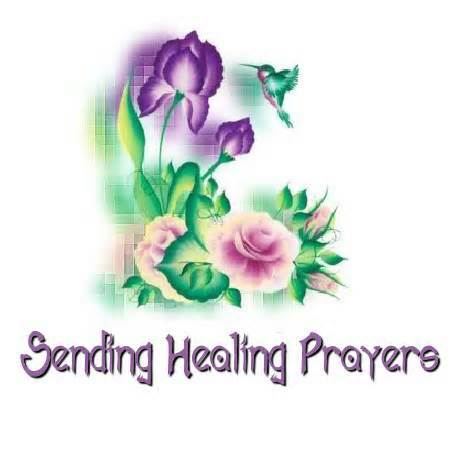 Sending prayers for bsheats that she may feel some peace and harmony back in her life. Sending a bright light to bsheats! Thank you Nancy and everyone else. I get stuck in these negative sad spots that it is really hard to pull out of. I know that cigarettes would not make me feel better. That's not the problem. Thank God for this site and for those of you who Reach Out And Touch Me. Prayers and healing thoughts. And Bernie, you are not alone when it comes to health issues after quitting. It might be just the right age too, when the body loses some checks and balances, or just the transformation after depending on a stimulant for so many years. But much like you, it seems all I have left is my declining health. Hang in there, it will get better. my life. NO matter what. I KNOW what you mean. It seems like I go forward to 8 laps and back to zero with two days of pain to recover. I am having a hard time accepting that I have declined THIS much from the 45 minutes of swimming I was doing last summer ----- with a broken femur, for Heavens' sake!! Perhaps this, too,shall pass. I just need to keep reminding myself that, although I have been "recovering" for 18 months and been on crutches for that period, I only had my hip repair surgery not quite three months ago. I guess we just need to accept what we can do and be grateful for that. I don't do so well with that either! Just smile and retort "that's an ex-smoker psychotic to YOU!" Sticks and stones and all that, too! Bree19 you have any suggestions? I don't know why but this made me think of her. Not in relation to anger but in relation to being "stuck." Can you take your own advice and get out of the house? I find that getting out of our environment gives a fresh perspective. I even have a little sticky on my desk which I wrote. Says "GO OUTSIDE (gribbit)" I like frogs, and going outside and being with nature ALWAYS soothes my spirit. Actually I have lots of little stickies around my office that catch my eye. ATTITUDE STUPID is another. "The Kingdom of God is a condition." "Life happens FOR you, not TO you." They help keep me in check. Remind me that I don't have to be a victim of my moods and that there are reasons why things happen that are unbeknownst to us. Sending a hug and a smile.